Tue 11 a.m - 8 p.m.
Wed–Sun 11 a.m. - 6 p.m.
From the newsletter you get information on Design Museum activities, exhibitions and events. The Newsletter is issued once a month. The transmission has failed. Enter your email address and try again. Enter and Encounter is a joint exhibition produced by Design Museum and the Finnish Association of Designers Ornamo and displaying contemporary Finnish design after Helsinki’s Design Capital Year of 2012. This optimistic exhibition focuses on the future, asking how design challenges the present and shapes things to come. Its works, projects and initiatives are responses to change or the need for change. They create phenomena, offer perspectives and lay the basis for new attitudes and practice in a global context. 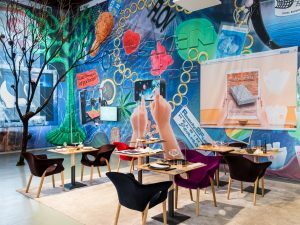 The title of the exhibition invites visitors to encounter changes in design and society with an open mind and in a positive spirit. 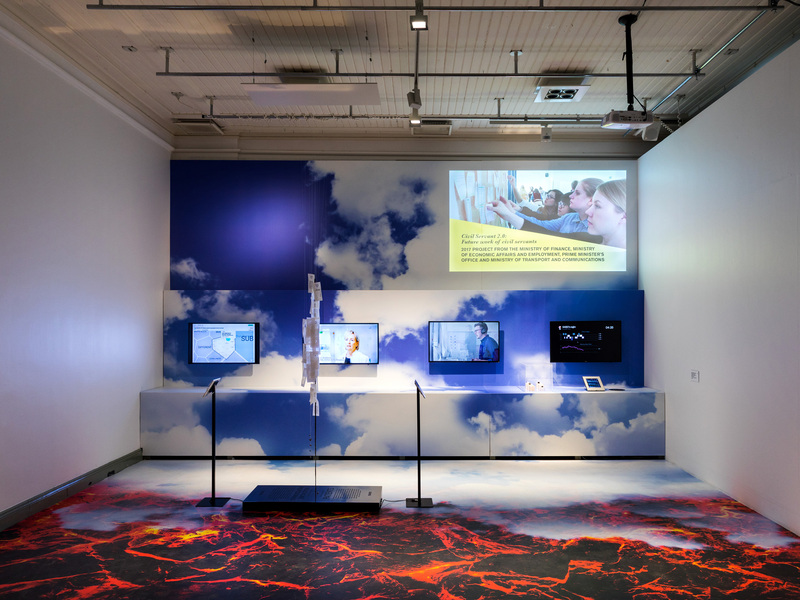 The exhibition contains examples of combating climate change, changes in food production, new forms of graphic design, satellite-based information services, and artificial intelligence. Exhibits include the Culture and Sompa saunas representing urban and sauna culture, new forms of culinary culture such as the Finnjävel restaurant and Kalle Freese’s Sudden Coffee, and new applications like Noona for the care of cancer patients, the MaaS urban mobility concept and the OURA Ring for monitoring personal health. 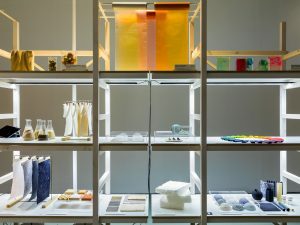 Also on display are the design process project of LA Architects and the City of Helsinki for the Oodi Central Library in Helsinki and the New Biomateriality Lab’s concept of new biomaterials from wood such as applications of cellulose. 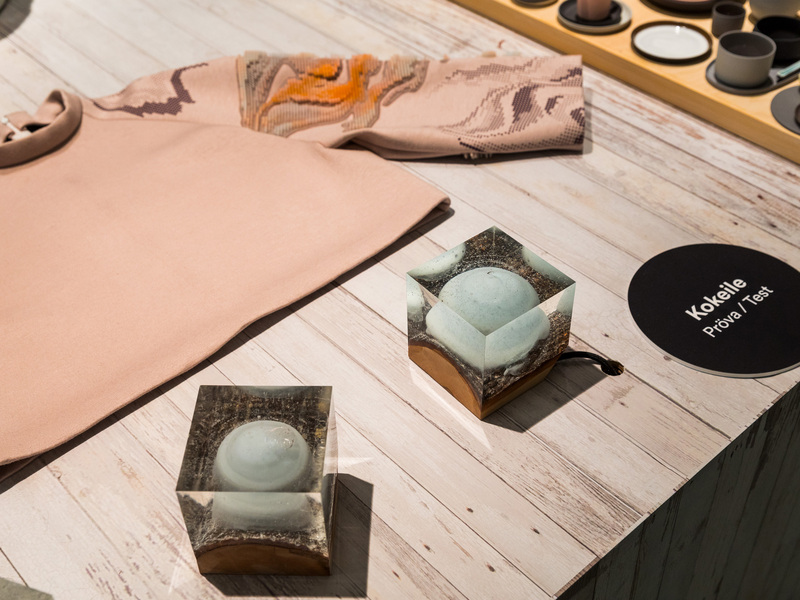 The younger generation is represented by product designers Hanna-Kaarina Heikkilä and Elina Ulvio. Ragamuf steered by Tuula Pöyhönen and Martta Leskelä is an example of, among many other things, a global actor responding to needs for change. 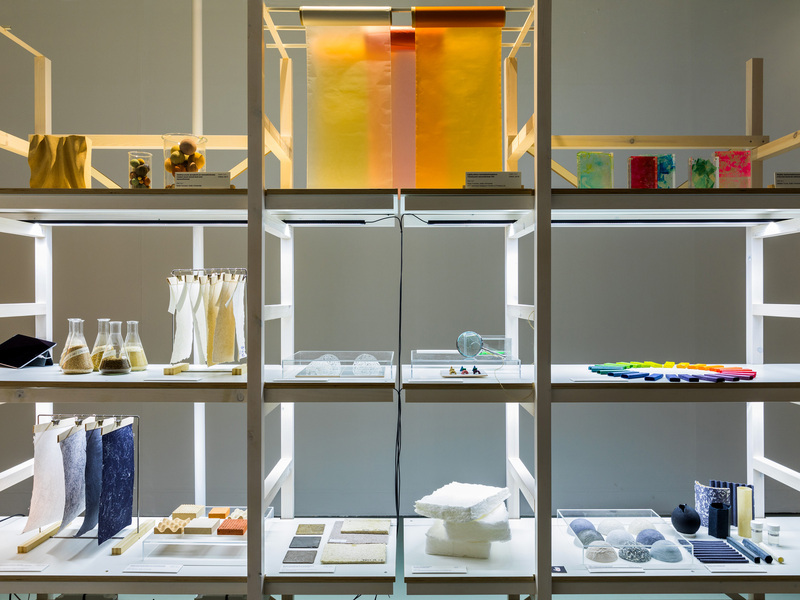 The exhibits are in six rooms: Techno Pastoral, Global Finn, Ecologies, Post-Industrial Crafts, Urban and Soft Systems. 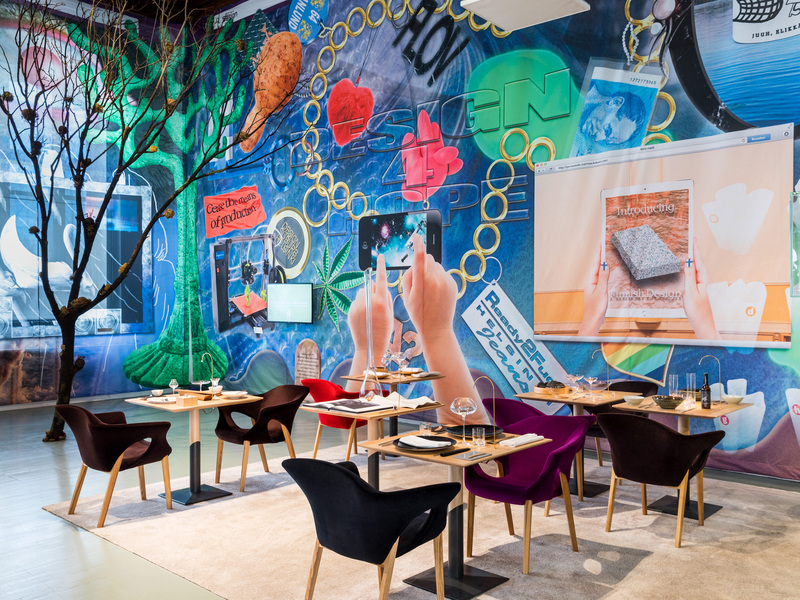 During the exhibition, Plaza in the Urban room will be a venue for special events and discussions. Its programme of events are posted on Design Museum’s web pages. There are also many events associated with the exhibition. The curators of the exhibition: Paula Bello, Katja Hagelstam, Juha Kronqvist, Heini Lehtinen, Ville Tikka and Esa Vesmanen. Erich Berger & Mari Keto, CellPod, Aalto-yliopisto: Colour and Material Led Design, Aalto-yliopisto: Design for Government, Kirsi Enkovaara, FinEst Link, Finnjävel, Helsinki Dry Gin, Tenu Gin, Napue Gin, GRMMXI, Hanna-Kaarina Heikkilä, Hello Ruby, Iceye, Iris AI, Keskustakirjasto Oodi, Ville Kokkonen, Kulttuurisauna, Nathalie Lautenbacher, M4ID, MaaS, , Musuta, Elina Määttänen, New Biomateriality Lab, Nikari, Nokia OZO, Noona, ONAR Studios, Ornamo Award, OURA Ring, Deepa Panchamia, Ragamuf, Remedy Entertainment, Timo Ripatti, Robin Hood Coop, Rolls-Royce Future Shore Control Centre, Anna Salmi, Kozeen Shiwan, Showerloop, Sisustusarkkitehdit Fyra, Sompasauna, Sudden Coffee, Suomen Jäätelö, Elina Ulvio, Laura Väinölä.